[BB-Blog]: Clock + type = cool screensaver. 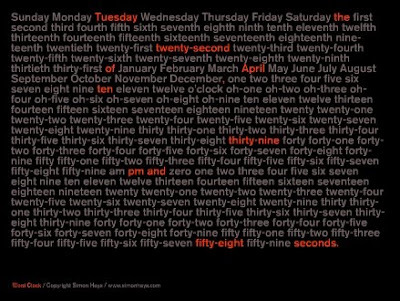 Clock + type = cool screensaver. p.s. I heart your blog. I've had this on my work computer for almost 2 weeks...Every time I come back from a meeting or whatnot it makes me smile. :) Plus I love how it is customizable!